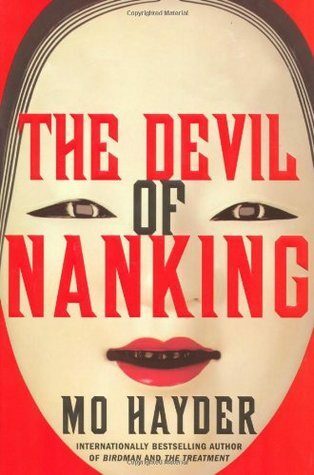 The Devil of Naking takes the reader on an electrifying literary ride from the decadent hostess bars and palatial apartments of yakuza kingpins in Tokyo to deep inside the secret history of one of the twentieth century’s most brutal, shameful events: the Nanking Massacre. Grey has a lot prove and even more to hide. A young Englishwoman obsessed with a past she cannot understand, she come to Tokyo seeking a rare piece of film footage that has been lost for decades, showing a specific incident during the notorious 1937. Nanking Massacre. Some say the film never existed. Only one man can help Grey. A survivor of the massacre, he is now a visiting professor at the university of Todai in Tokyo. Immersed in his textbooks and wary of strangers, he will at first have nothing to do with her. Grey accepts a job as a hostess in an upmarket nightspot catering to Japanese businessmen and wealthy yakuza, where a certain gangster may be the key to gaining the professor’s trust–an old man in a wheelchair surrounded by a terrifying encourage, rumored to rely on a mysterious elixir for his continued health. It’s a devil’s bargain–but who, really, is the Devil of Nanking. The Devil of Nanking is a tour de force that confirms Mo Hayder as a thriller writer of the first order. This is a sad journey of validation. I went into this book remembering only that it was partly historical fiction. I prepared myself for some heavy lifting of facts, dates and maybe even geography 😮 My preparation entailed clearing my slate of all other tomes; I wanted to give this the attention Katherine (her review) said it warranted. Man this is so much more. I can’t quite put my finger on what it is; it’s a little bit mystery, and a little bit horror (think Donny and Marie) wrapped in a whole lot of literary fiction. Beautifully written. I made notes of passages that I wanted to remember or that affected me. I wanted to share some of them here, but I was afraid that they would give away some of the plot. So you’ll have to take my word for it, this author can sling it. More than a few of my notes were about how sad I felt reading this story. There were times when I was choked up to the point that I couldn’t swallow, other times where I tried to read past the tears in my eyes, but mostly my heart ached. I went into this thinking that my brain would get a workout, little did I know that my heart would be the one doing all the heavy lifting. Full disclosure: I received this book from the library in exchange for my promise to return it. I will. I will also get myself a copy so I can reread this at my leisure. Thanks Katherine!